Be present where your customers are, whether it's online, on an OTA site or in-store. Sell via a combination of resellers, OTAs and business partners to increase your reach. 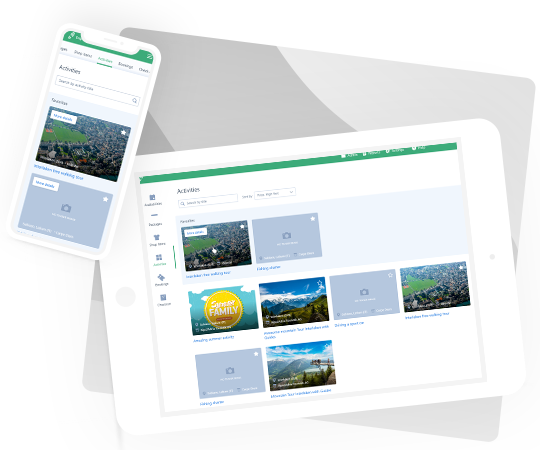 With TrekkSoft, sync your tour schedules and availabilities across these channels, and automatically update availabilities whenever a new booking is made. Use our Growth tools such as the Partner Network and Channel Manager to connect your booking system to other distributors. 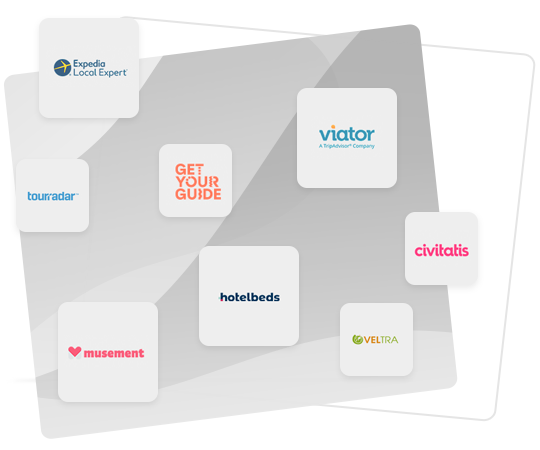 With the Channel Manager, it's simple to connect to leading online travel agents such as TripAdvisor Experiences or Expedia Local Expert. Use TrekkConnect to map your tours, schedules and prices. 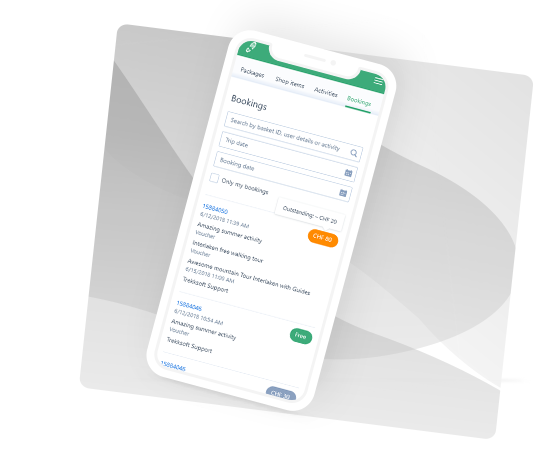 Streamline bookings from multiple OTAs, update and sync availabilities when a new booking is made, and have all the information you need about each booking in your TrekkSoft dashboard. 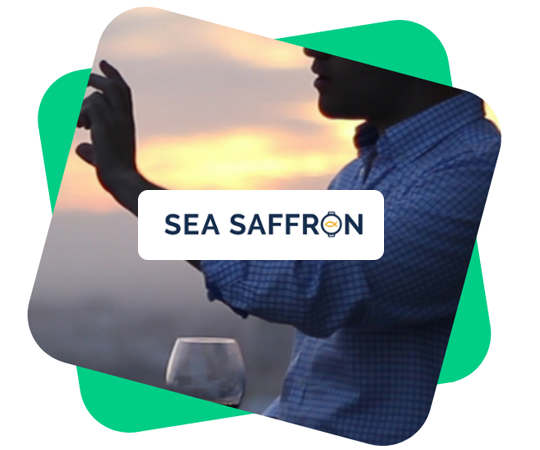 Sell more tours online and in-destination with a booking system that makes it easy to collaborate and work with resellers and business partners. Generate discount codes, track agent performance, and set up a commission structure so you know how much to invoice each reseller. The key to successfully scaling your business is automation. Use TrekkSoft's unique solutions to automate your workflows and speed up the sales process at various online and offline point of sales. Sharing your live inventory allows resellers to instantly confirm a booking without emailing or calling you about your availability. Once a reseller booking is made, details of the booking will be entered into TrekkSoft just like your other bookings. With our API connections, automate booking confirmations to speed up the sales process and shorten cut-off times. Tap into the power of a multi-channel sales strategy and maximise profits with the right tools. 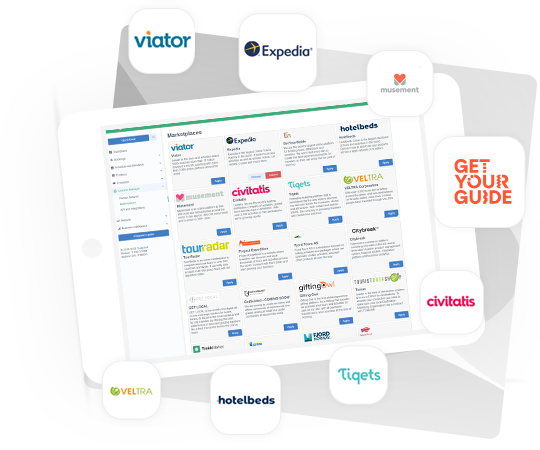 Make it easy for hotel concierges or tourist information offices to sell your trips on your behalf by giving them sales tools optimised for efficiency. We've developed a Point-of-sale desk that's perfect for tablets as well as a back-end mobile app so that a booking can be made anywhere, anytime. Use our card reader to take payments too! Track growth and return on investments to maximise the potential of multi-channel sales. We'll give you the tools to do just that. 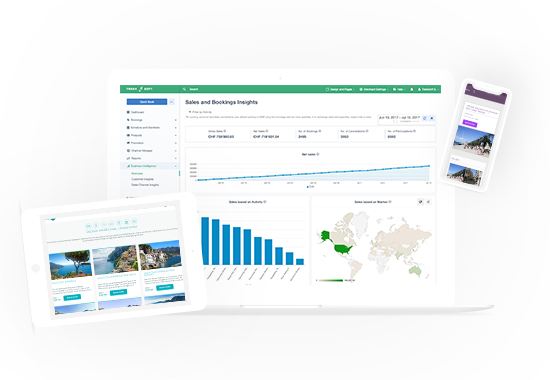 Use our reporting tools to get updated reports and real-time data about tour company.Export raw data into 3rd party tools or use our Business Intelligence to analyse performance and make data-driven decisions. Harness the power of big data by automating data exports to your favourite 3rd party tool. Make the most out of your booking and customer data. 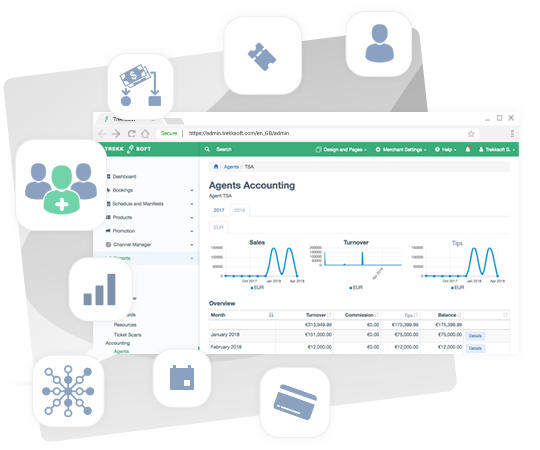 "TrekkSoft is the way to grow sustainably, in an agile way in order to increase sales. In short, it is the way to turn a tour into a company. For us, this partnership is not an option, it's a must. From our point of view, business owners running tours must focus on generating unique tours, satisfying client's need and increase their sales. TrekkSoft is what allows us to control the back-end of these processes!" Use TrekkSoft to power direct sales, better manage operations and grow your business. Improve online and offline sales operations with the right booking tools. 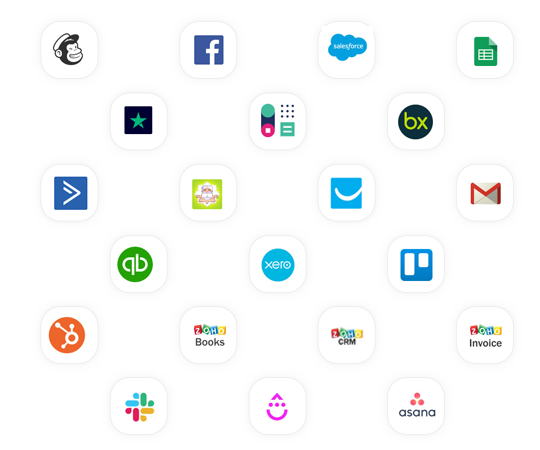 Our back-office management tools make it easy for you to stay on top of admin. Scale your operations by automating booking processes from multi-channel sales.